Welcome to the world of directing! Being a director can be challenging and hard work, but the fulfillment that comes from bringing a playwright’s story to life is definitely worth it. As the director, you are able to turn written words into a living, breathing theatre performance – a truly unique and rewarding experience. Here are some tips for new directors. The director’s job is to oversee and orchestrate the mounting of a theatre production, bringing together all the separate elements (plot, characters, audio, visual effects, set design etc.) into a cohesive, successful performance. One of the most important tips for new directors is to be very clear in your communication. To ensure your vision of the play is realised, you need to collaborate with (and guide) actors, stage designers, technicians, musical directors and more… If one piece of the puzzle is missing, your performance will suffer. So be very clear in what is required of everyone and work with them to ensure everything goes to plan on opening night. Of course, the role of the director begins long before opening night. The first important decision you need to make as a director is to choose a play. If you’re new to the game, it can be difficult to know what play will be a hit. Put yourself in the audience’s shoes and ask yourself what stories you’d find most engaging and entertaining. 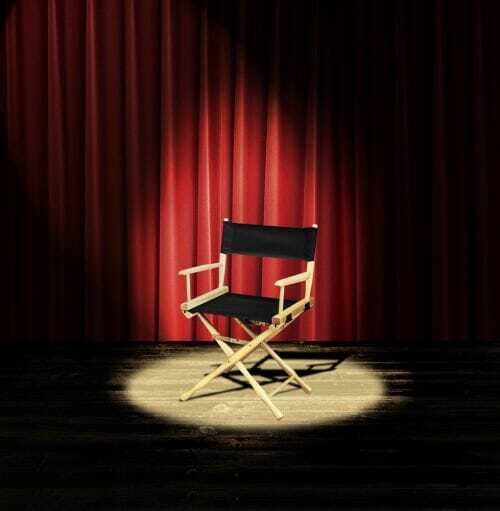 Consider your casting pool: are you working with experienced actors or are you putting on a small play with beginners? Some roles are very difficult and are not cut out for amateurs. Once you’ve decided on a play, you need to read the script – a lot! It’s your job to interpret the script and bring it to life, so you need to know it inside out. You will also need to do some research to understand the context of the play. For example, if your production is set in the United States in the 1930s, researching this era will give you valuable insights into the culture, language, design and fashion of the time. One of the toughest jobs of the director is deciding on a budget and working within it. If you have a limited budget, one of the areas where you can save a fair bit of cash is set design. If you’re putting in a school play, work with your school’s art department and have students produce some of the key pieces. Using effective stage lighting and simple audio visual effects such as projectors also allows you to keep costs down while still putting on a great show. But the most important tip we can give you, the budding director, is to simply believe in yourself. Over the coming weeks and months, everyone will be looking to you for guidance and encouragement, so chin up and get to work… We know you can do it!